Its not like the city enforces the covenant for the Eatons Bay Center to allow passage through what used to be Broad Street. That's still maintained seven days a week during business hours. Was the covenant originally for 24 hour a day access? But it is open 7 days per week, more or less when people expect it to be open. It opens well before the stores open, and closes after they close. 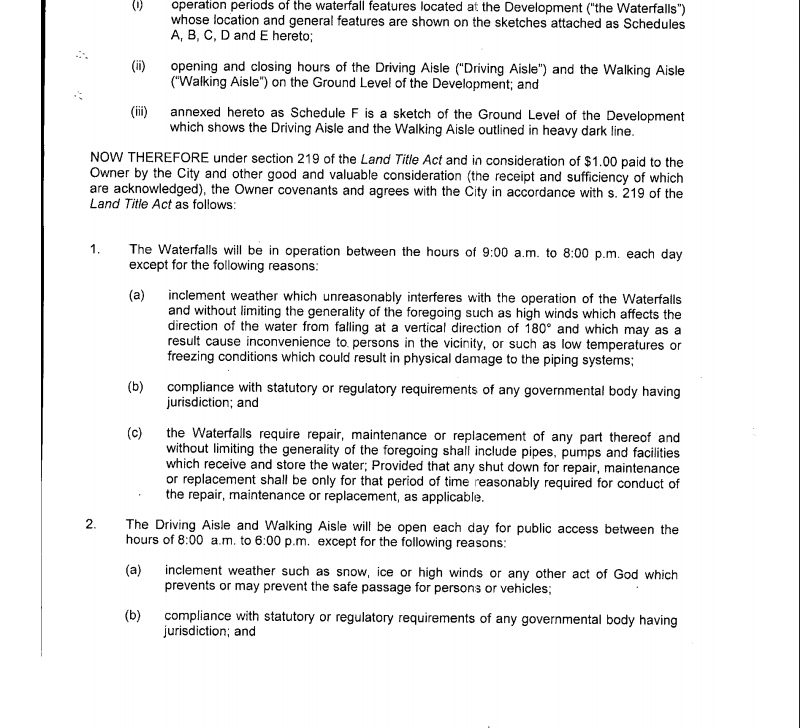 I'm just pointing out that the city does not have a record of vigourosly defending these covenants. IMO no more should be agreed that depend on the owners having to make any effort once construction is complete. If we want public access then it should simply be permanent access without gates or doors or any impediment. I hate everything about this. The DRA didn't really think this was a good place for a walkway, especially since it meant using up a retail space. 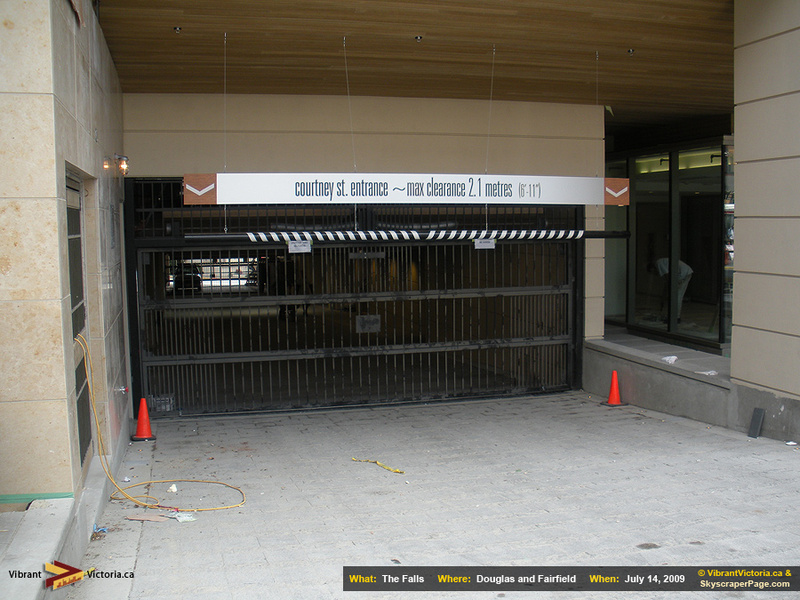 This was forced onto the Falls by the City and Westbank had no choice but to comply and cut their frontage in half. It doesn't really serve a purpose unless you want to walk past the HSBC staff room and see what people are microwaving for lunch. So you can see that part of me thinks this space was a mistake and part of me thinks they need to stick to their agreement. Gating it 24 hours is the worst of both worlds. Edited by Rob Randall, 23 March 2015 - 12:16 PM. Where does the walkway lead? Was there some kind of right of way before the Falls went up? Looks pointless, but I don't know the background. There is two parts to it. The driveway for any cars to use, goes from Courtney to the other side on the south. Then there is a pedestrian walk, that is essentially the driveway, but then it also goes out to Douglas at the mid-way point. ^ pedestrians generally don't want to walk into what is obviously a car entrance to underground parking. The "mid-block connector" was part of the original 2006 design. At that time there was no T connector to Douglas Street. They were asked to put one in (I can't remember if it was Council, Planning or Design Panel that said a connection from Douglas to the walkway was needed to break up the Douglas St. streetscape). I think it was at ADP when it was said that Victoria streetfronts benefit when there is a break every X metres for a street, walkway or alley. This has got to be one of the dumbest walkways. I don't understand what the point of it is supposed to be? 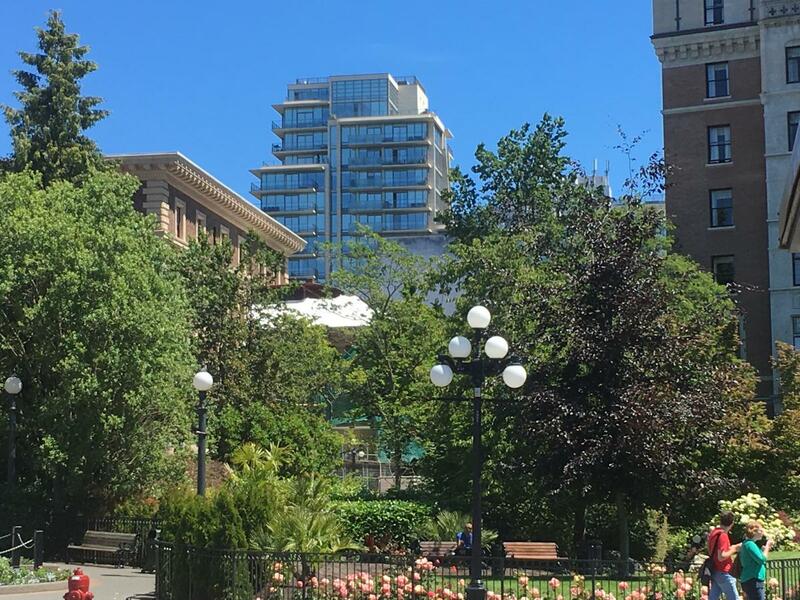 I don't have a problem with the strata approaching the City of Victoria and applying to change the agreement, but to take matters into their own hands and simply defy a legally binding agreement is not how you conduct business. ^As per the agreement above, the City should at least get its dollar back. The gate has been re-opened for weekend public use. The Falls is going berserk today. That thundering noise can be heard for the whole block. It's crazy. Well, there goes another amenity. The Strath should complain it's causing their volleyball players to miss shots.